Fun Facts: Happy National French Fry Day! Because it is National Fry Day here in the USA, There are some fun facts about this delicious snack. 1. French fries are not French at all; the French fry originated in Belgium, the little country between France and Germany. 2. French Fries have many names, from chips in England, to pomme frites or frittes in France, Belgium, and Germany. 3. Different countries eat fries different ways. In Canada, poutine (which are fries topped with gravy and cheese) is practically a food group; England loves their Malt Vinegar, Australia loves there fish and chips which are fries to us here in the States and places in Europe love mixing their ketchup and mayonnaise together. 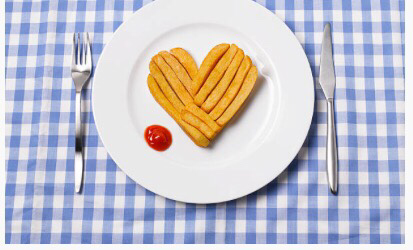 So in honor of this fun day, enjoy the best way you like to eat French fries. Maybe you love just plain o’ fries or you love to add BBQ sauce or hot sauce to them. Enjoy! Posted on July 13, 2017 July 15, 2017 by KrishnaPosted in awareness, healing, Health and Wellness, Intuitive Magazine, Party PlanningTagged eatingdisorderrecovery, frenchfries, krishna.